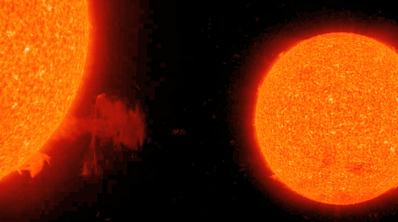 Both STEREO spacecraft observed in extreme UV light as an elongated filament erupted from the Sun (Dec. 4, 2009) over a period of about 10 hours. The spacecraft are about 130 degrees apart and slowly separating roughly along Earth's orbital path. 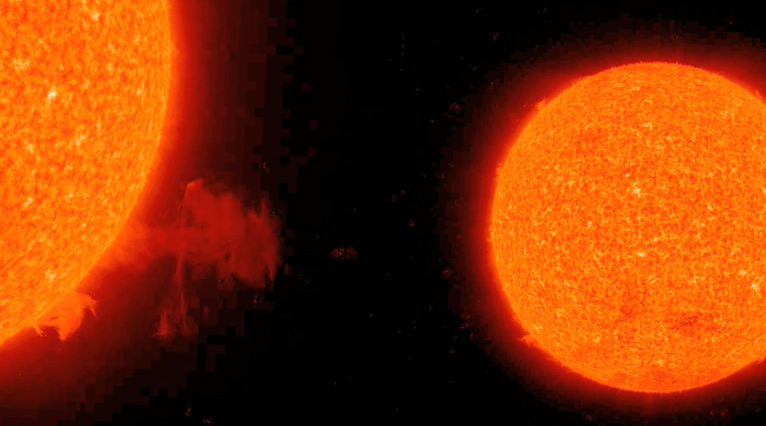 One video clip shows both views at the same time; the other shows the filament lift off in profile, where it is more easily seen against the dark sky as its backdrop. 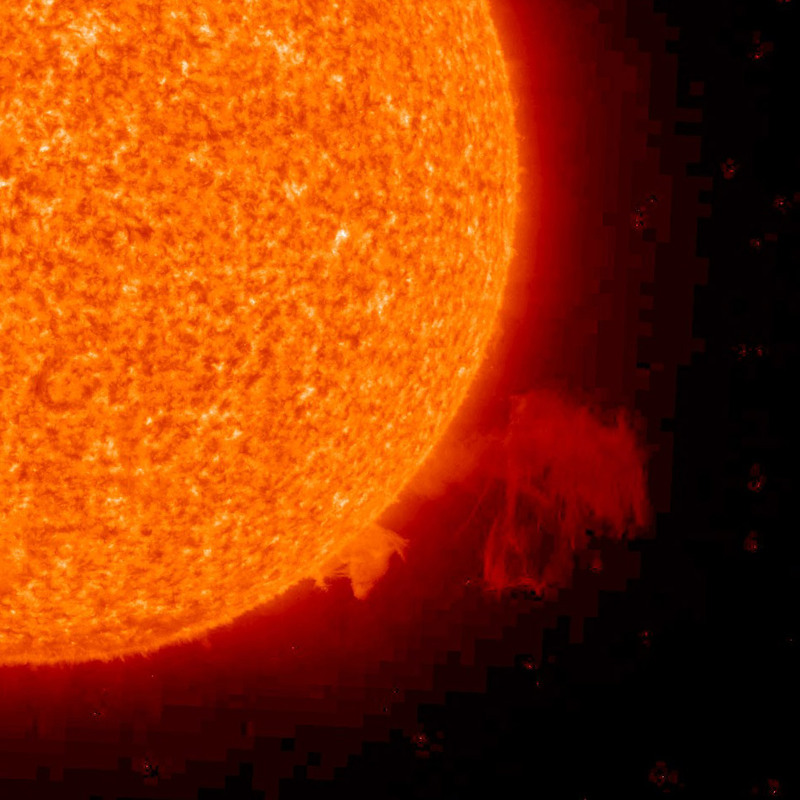 Filaments are clouds of cooler gas suspended above the Sun by magnetic forces. They frequently lose their stability and erupt as this one did. 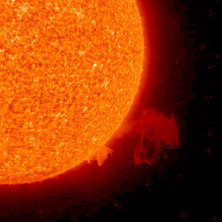 (A prominence is the same solar feature as a filament except it is observed in profile instead of against the Sun's surface.) Note that the high-latitude event heads toward the solar equator because of the relatively flattened global solar magnetic field at this stage of the solar cycle. Scientists use these images and data from SOHO and other missions observing the Sun to tease out how the secrets of the Sun.